Hopefully you have all noticed by now the new banner that I have on my blog. If you haven’t then look up there ^^^^ I have also got a slightly different version for my Folksy shop too. It’s not ideal that they don’t match exactly but annoyingly a different banner size is required on every site. I wish it was just a standard thing, it would save so much time! I’d love to hear what thoughts you all have on the new idea. Bearing in mind that it is a very quick mock-up for now. 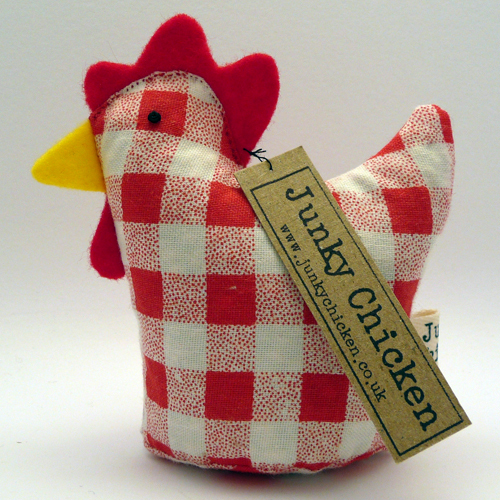 The main thing is the font for Junky Chicken. I know I like it but what do you guys think? Should I worry that it might put some customers off? I don’t think it would but I really like it, so I could be in denial! I know it’s been very quiet lately here at the Junky Chicken blog, but I thought I would let you know about some of the blog posts that I have planned for the very near future. More wedding related posts: We aren’t far off our first wedding anniversary now, so it would be nice to finish these before that arrives! If you missed the first ones though, you can see them all here. A giveaway: I haven’t decided for certain yet what will be given away. It may be one of my lavender filled houses (to celebrate our new home) or I might wait a little longer and have a giveaway to celebrate my 100th post. I’m not far off it now! Our new craft room: I will be posting a few pictures of our new craft room, and showing off the amazing view that we have from the window! Unfortunately though, this post will have to wait until I have finally managed to unpack all my boxes of fabric. Hopefully it won’t be much longer as my Dad has found a set of shelves in the garage that should be perfect. They just need to be unearthed from beneath the piles of stuff that any family of 6 manages to collect and then relegate to the garage! More Folksy Fhursdays: My Folksy Fhursday posts will be continuing, so make sure you check back each week to see what I have found. Getting into bed with Google: It’s been a little while since I last did a post for my series on working on my SEO skills using this very useful book. I will be going back to doing some more of these posts, with useful things for you to try for your own websites. New items: My next few weeks will be spent madly making up some new stock & getting some of it listed in my Folksy shop. There will be a few new things making it into the shop that I have only sold at fairs so far, and are yet to be sold online. I’m sure there will be a few mentions on here of what I’m up to & what’s new in my shop. New website design: As soon as I have a few spare moments I am desperate to get my website redesigned. I built it when I first started selling stuff & my business has changed a lot since the beginning so my website really needs updating. Plus, I’m jealous of Joe’s website! There will probably be a few post’s about my progress & I will definitely be having a post to unveil it and send you all in the direction of my new site! 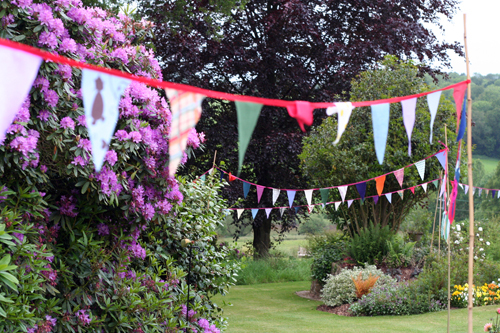 Craft fairs: We have been busy getting lot’s of craft fairs booked over the last day or two and have been very pleased to find that we seem to be in a good area for fairs! Keep an eye on the blog to find out where we will be making an appearance! Hopefully there is something there to interest all of you. The only way to really find out though is to keep coming back to my blog to have a read! 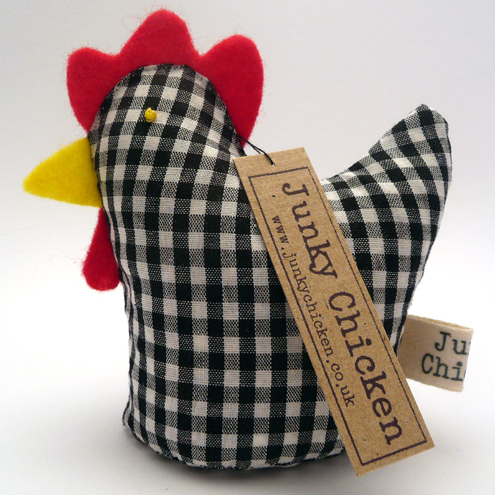 Junky Chicken is now on Twitter! You can find me here. Come and stalk me! As I can’t do a post without a picture, here is ‘The Twittering Machine’ by Paul Klee, from 1922. I like the idea that this picture was poking fun at the Futurists who believed that machines would help to make a manmade world that was better than the natural world. Silly Futurists. 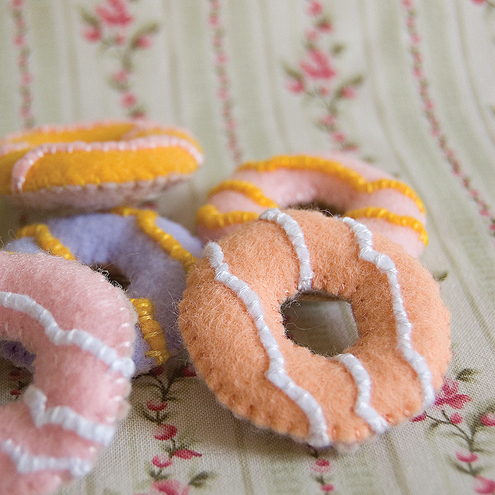 First up is this great pattern from Gulf Coast Cottage to make your own felt tea party set. 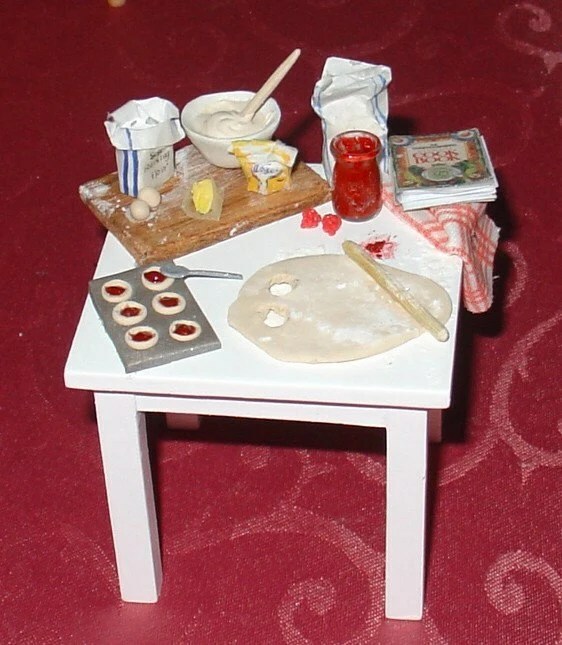 Somebody is busy baking some jam tarts for the birthday tea party. This dollhouse miniature from Mamas Clay is amazing! If you need some more biscuits then you can get a whole biscuit collection over at Treaclezoo. 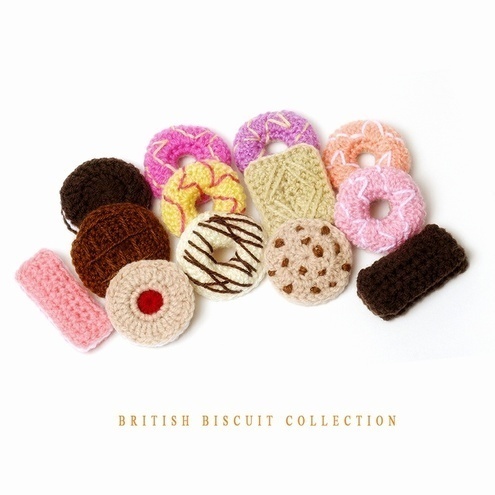 I was never really a fan of Jammy Dodgers but I love this crocheted one! If your party is too posh for biscuits, you could have some truffles instead like these from Sweet Things. They are made from felt from a pattern by Umecrafts. 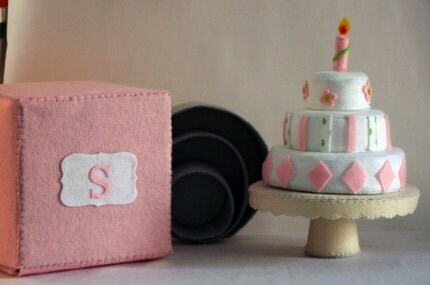 Finally, you can’t have a birthday tea party without a birthday cake. 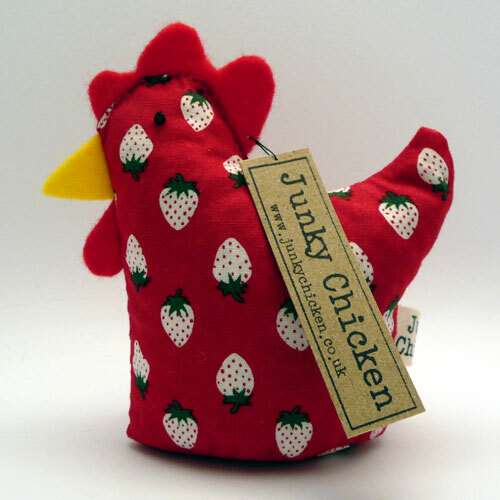 You can get this pattern to make one from Sweetie Pie Bakery. It even includes patterns for making your own cake pans, cake stand and oven mit. Yesterday I noticed that the lovely Lynne, over on the Autonomous Artisans blog, had picked Hetty to be featured on yesterdays blog post. It’s a great blog and I check it out every day… You should too! I have just opened a shop on Artfire and have spent the last couple of days listing items. At the moment it’s just a trial to see how it goes. So far, I much prefer the look and feel of Folksy, but I’m not sure whether it’s just because I’m more familiar with it. 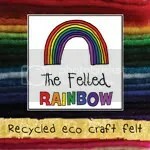 If any of you reading this have an Artfire shop, I’d love to hear your opinions on the site. Today I worked on some prototypes for a pincushion idea that I had a while ago, voodoo doll pincushions. I think I prefer the green one, but will maybe make it a little fatter. As I’m now making my business cards from old playing cards, I have started collecting any packs that we find in charity shops. This is my collection so far! First up are these gorgeous cards with a musical theme. Next we have some top trump style cards from the RSPB. These will all soon become brand new business cards. I have also decided that I am going to have to start saving one of each kind of card that I use, so that I can look back over them when I’m very rich, thanks to all the sales that they bring me! As I make everything from recycled materials I obviously wanted something that fit with this for my card. Previously this had just meant printing my cards onto white recycled card stock. This time I have used a slightly different kind of recycled card! My first opportunity to give out some cards was at Handm@de Winchester and they seemed to go down very well. They got some great comments and loads of people took cards. Hopefully they have now gone out into the world to bring me some sales! I have moved everything over from my old blog so if you are new readers you can have a look back over my old posts. If you have followed me here from my previous blog then thank you for coming with me! Due to getting married and then having only 3 weeks to get ready for a big craft fair there hasn’t been much blogging from me lately so I hope to be posting a lot more often now that I am very slightly less busy!